iOS, the interface that powers virtually every Apple mobile device on the market today, wasn’t the only operating system that Apple considered for the original iPhone. In Steve Jobs’ presentation of the iPhone in 2007, he teased a slide showing an image of an iPod with a rotary dial – an iPod with a phone built in. It got lots of laughs from the audience but the reality is, the iPod’s iconic click wheel and user interface was at one point up for consideration for use on its inaugural mobile phone. 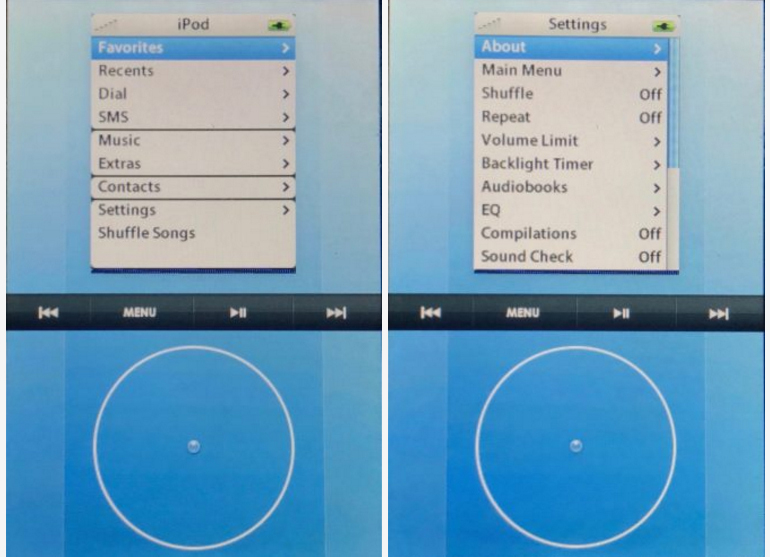 AcornOS, the codename for that iPod-inspired prototype UI, has only been seen by a handful of eyes… that is, until now. Leak specialist Sonny Dixon has published exclusive photos and videos of AcornOS in all its glory. While it’s not known just how far into the consideration process AcornOS made it, I think we can all agree that Apple made the right decision by eliminating it from the running.